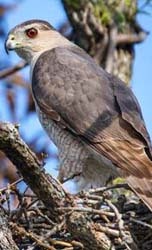 Hawks, falcons, raptors, and birds of prey are all terms that are sometimes used interchangeably. 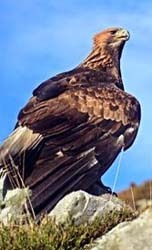 Taxonomically speaking, they all fall under the Order Falconiformes and all have short, strongly hooked bills and sharp, curved talons (claws). 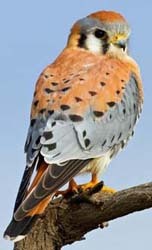 Body size, wing length and shape vary, as do colors and patterns with different combinations of black, white, rufous, gray, and brown. 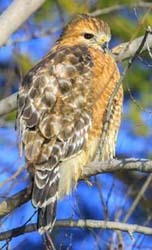 Many have different color phases with juveniles appearing different from adults. Females are typically larger than males. 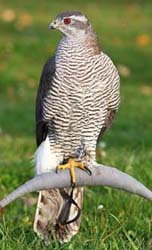 All prey on other species ranging from insects to other birds and small to medium size mammals. 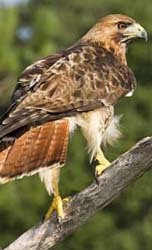 There are 15 species of birds of prey that may be seen in New Hampshire. 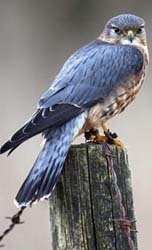 Some are present year round and others are seasonal visitors or travelers passing through during spring and fall migrations. 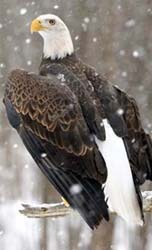 Some are rare visitors only seen every 3-5 years. 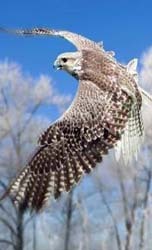 They range in size from 9-33” long and 20-72” wingspans and can be found throughout the state. 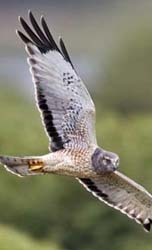 Thousands may be seen during fall migration which peaks between September 1 and October 31. 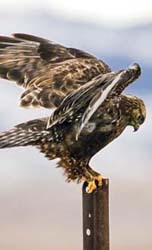 NH Audubon Raptor Observatories (www.nhaudubon.org) such as Pack Monadnock at Miller State Park in Peterborough and Carter Hill in Concord offer excellent viewing opportunities. 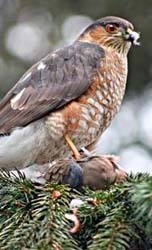 A Checklist of the Birds of New Hampshire. 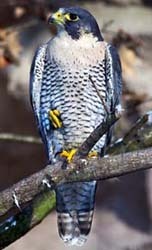 New Hampshire Audubon. Print. November 2004. 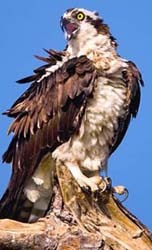 Hawks of North America. Second Edition. William S. Clark and Brian K. Wheeler. Peterson Field Guides. Houghton Mifflin Company, New York. 2001. 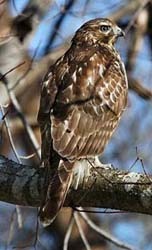 New England Wildlife; Habitat, Natural History, and Distribution. By Richard M. DeGraaf and Mariko Yamasaki. University Press of New England. Hanover, NH. 2001. Ornithology. By Frank B. Gill. Second Edition. The Academy of Natural Sciences of Philadelphia and the University of Pennsylvania. W.H. Freeman and Company, New York. 1995.